Genealogy search websites are a great way to find records about your ancestors. Here I will give you my FindMyPast review and help you make up your mind whether this site is for you. I do want to cover a lot of topics concerning FindMyPast. I will though try not to go into too much detail and bore you in the process. There is a lot to discuss so let’s move on. About FindMyPast and Its History! This genealogy website has been online now for nearly 15 years, originally a UK site founded in April 2003. The original name for this site was 1837online. Well, 1837 was the year that a national system of civil registration was introduced in England and Wales for recording births, marriages and deaths. 1837online was the first website to make the complete birth, marriage and death indexes for both of these countries available online. To make this information available to the public over 2 million records were transcribed and scanned. Making these indexes available online made it far easier for family historians to trace their ancestry compared to going to archives and searching for microfilms listed their ancestors. Despite having to pay to view these images the accessibility of these records certainly did help the growing genealogy industry. And as a result of this public interest the 1837online database grew to include other records that could be used by genealogists. Besides researching your ancestors vital birth, marriage and death records you could now look up censuses, migration records, military records, and much more. Because of the inclusion of these other records the site changed its name in November 2006 to FindMyPast. Due to its increased expansion a sister site was then created for Australia and New Zealand in May 2010. This was followed by another site for the United States and Canada in July 2012. I have already discussed that FindMyPast grew from its original collection of birth, marriage and death indexes to include other records. FindMyPast has an incredible collection of over 8 billion records worldwide. So what else can you find about your ancestors within this genealogy site? When you first visit this website you can perform a basic broad search for your ancestor entering information such as their first and last name. And as well when they were born, (with a tolerance of 0, 1, 2, 5, 10, 20, or 40 years), and where in the world the records could be located. You can perform a more advanced search if you wish by selecting a category that the record may fall into. This will help you to eliminate the records that you do not wish to see. The 8 Categories of records! FindMyPast makes your job easier to find what you are looking for by categorizing the records that are held within their databases. There are 8 different kinds of categories plus a special collection for newspapers and periodicals. These categories are then broken down even further into subcategories, or rather record collections. There are many more types of records that you can find besides the ones that I have just shown here. I just wanted to give you a sample of what you may find within their collection of records. I must point out that FindMyPast allows you to access the 1939 Register. This is an invaluable set of records for any family historian researching their British ancestors in the first half of the 20th Century. The reason for this is because the 1931 census was destroyed during an air raid on London. And because of the outbreak of war the 1941 census never took place. Besides The National Archives, FindMyPast is the only other place where you will be able to access these records. So, it is great that this collection is included on the site. Check Out Your Respective Country’s Site! There are two different packages that are available to you when you sign up to FindMyPast. You may just be interested in the records that are held within your respective country, (US & Canada, UK or Australia). Or you may opt for the World Subscription where you have access to records from all of these countries. For me I like how you have this chose of whether you just want to view your respective country’s records or whether you want to view records from all over the world. As you can see below the cost in these two packages is nearly double for the US, Canada and Australia. With UK residents wanting the World Subscription there is not much of a price increase. Besides these two packages you have the choice of whether you want to pay monthly or yearly. The choice is completely yours. I would suggest to you to try out the Free 14-Day Trial first. Signing up for a free trial is great because you can get accustomed to the FindMyPast site and get used to it. Also, you can see what records are on offer and access them for free. Please note: In order to sign up for the trial you will need to provide your credit card details. You will not get charged during your trial. But you do need to be aware that if you are not interested to continue then please cancel your subscription at least two days before it ends. There is one more way that you can pay to access records and that is to purchase PayAsYouGo credits. Each record is assigned a number of these credits and they can range from anywhere between 5 to 60 credits. This is a great option for you if you just want to do a small amount of research. And you don’t want to be committed to a monthly or yearly package. There are a number of these PayAsYouGo bundles that you can purchase. The starting bundle consists of 60 credits which usually expire in 90 days. When you want to view a selected record you will be shown how many credits this will cost you. If you want to proceed then you just click on the Confirm button. You then have unlimited access to the record that you have paid for. You can stop being asked whether you want to continue by clicking on “Don’t ask me again for 30 minutes“. Signing up to FindMyPast is the same no matter which country you are in. You select either the world package or your respective country package. Both of these are offered to you as a free 14-day trial. Once you have made your choice you then enter your first and last name, country of residence, email and a password. And then after you enter your credit card details as I have just mentioned before. The expiration date of your trial is then highlighted to you so you know when your free access to their records will cease. It really is quite straight forward to sign up to FindMyPast. A welcome email is then sent to you and you have the option to read the helpful Getting Started Guide before you start searching for your ancestors records. It’s one thing to collect records about your ancestors. But where do you store this information? You obviously need a tree where you can enter your ancestors and the records that you find. As you may expect from any decent genealogy search website FindMyPast has its own family tree builder. From here you can add the branches of your tree and also attach the records that you find within their databases. Images and voice recordings can also be attached to the family members of your tree. You can easily find your ancestors records with the help of a clever hints system. As you add an ancestor or amend their information a circle will appear next to them with a number inside. This number refers to how many birth, death, marriage or census records include someone with the same name as your ancestor. Even though the record may feature a person with the same name it may not be the case that this is your ancestor. So please be careful with this feature! The hints can be either viewed within your tree or on a separate My Hints page. This page will give you a snippet of the record which you can accept or reject. Once you are happy with the hint you can then add the information to your tree. You can view either the transcription of the record or view the actual original document. I would suggest that you view the original as sometimes errors do occur when the records have been transcribed. Records that are presented to you are quite hit and miss so make sure you put in as much information as you know about your ancestor. How do you start to build your family tree? Just enter your full name (first, middle and last), gender, date and place of birth. You will then want to select whether you want your tree to be public to other FindMyPast members or private. This choice is certainly up to you. I like though how you can view other people’s family trees. I have done this quite a lot as I have gained valuable information from them to help me build my own tree. You do though need to be careful with the information that people have put in their tree. Some people are so impatient and put in everything that they find without doing any verification whatsoever. Once you have filled in your information and selected that you either want a public or private tree then you are on your way to finding and adding your ancestors. I like how when you do continue on with this process you are presented with the origins of your surname. This is great because it may show you where you can get further information about your family. Different views of your family tree! The default view of your family tree is Family View, so you will get a vertical representation of your family tree. However, the tree will only show either your paternal or maternal ancestry at a time. So, you will need to swap between the two. Another traditional view is the Pedigree View which is a horizontal presentation of your tree. This view will show you both sides of your tree. Already created a family tree? No worries! If you have been researching your ancestry for a while then you have probably started to build your family tree. And that’s no worry because FindMyPast makes it super easy to upload your tree to their website. This is great as you don’t have to start again and enter all of that information from scratch. FindMyPast will allow you to import your GEDCOM file. It doesn’t even matter if you have started on your tree with a genealogy software program or a genealogy site you can upload your file from either. Please note: The clever hints system will not work on your GEDCOM file. So, when you view the ancestors that you have already added into your tree there will be no hints for you to check out. So far I have given my review about what I think of FindMyPast and what you can expect from the site. Rather than seem to be giving a biased view I want to share with you some feedback from other visitors of this site. Most people did have a positive review of the website as the majority were able to find what they were looking for. But then again there were some who couldn’t find any relevant records, (this is addressed below). I want to address some of the complaints that I have seen regarding this genealogy site. If you do have a complaint then I would love to hear from you below and I will try to help you. This seems to be a common complaint whereby people get signed up for a particular package when their trial expires. As I have noted in this review you need to cancel your trial at least two days before it ends. This may seem a sneaky move by FindMyPast but whatever you sign up for you DO NEED to read the small print. It only makes sense. FindMyPast decided to refresh the look of the website. This is a common practice with any other genealogy search site. But visitors and users of the site did not take too kindly to these changes. I too had some difficulty with the new design and it did take me a little while to get used to it. The designers did address some of the complaints and have fixed some of the issues. My suggestion to this complaint is just try the site on a 14-day free trial and see if it’s right for you. You can perform a basic search by entering the name and date of birth of your ancestor. Unlike another popular genealogy site you cannot enter additional informational such as your ancestor’s spouse, parents or siblings. Entering additional information like this can certainly help you to narrow down your search and help you find your ancestor. I hope in time that FindMyPast addresses their search engine to make it more powerful. Another complaint was the lack of records found. I cannot speak for individual cases but I myself have found a tremendous amount of information about my ancestors on this site. And as I have mentioned before it does help if you do have some key details at hand when searching the databases on this site. Please note: Scottish records are available at FindMyPast besides records for England and Wales. Because FindMyPast has such a large collection of records at its disposal I have been fortunate enough to find so much information about my family tree. It has been one of my go to sites for my genealogy research. And even if I couldn’t find what I was looking for I didn’t give up hope. That is because new records are being added every week, so if I didn’t find something then I could always come back later. There were so many records about my ancestors that I could find that this really wasn’t a problem for me. But it does help if you have quite a bit of information at the ready before you go finding your ancestors records. Bottom Line: YES I do recommend FindMyPast! I hope you enjoyed this post giving you my FindMyPast review. If you have any questions or comments then please leave a comment below. 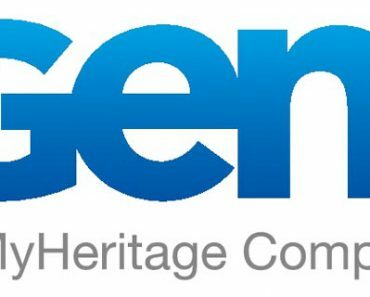 Geni.com Review – Building A World Family Tree! Fold3 Review – Discover Your Military Ancestors! Just read with interest your feature on Findmypast. Thanks for the heads up Paul. Much appreciated. What a wealth of information on FindMyPast ! Thoroughly enjoyed your review, I have been interested in tracing my familial origins for a long time and the information in your review gives me hope that I will be able to do that. Again, thanks for such a complete review. My pleasure Riley. Glad that you enjoyed my review. There are so many resources at FindMyPast. Although the user interface may take some getting used to, (isn’t that the same with any site though), I’m sure you will enjoy using this site. Interesting topic here. I thought your review was very thorough. You seem to really know your stuff and I like that. Do you happen to know if school records are available to review? Thanks very much. Thanks Jackie for your comment and question. FindMyPast do offer a lot of different records where you can find your ancestors. 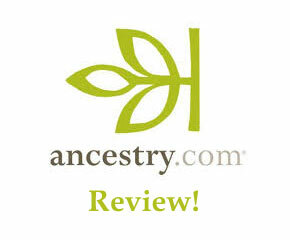 As I have mentioned a few times in te review I have found so much within their databases about my ancestors. To answer your question there are National School Admission Registers on the site. The dates range from 1870-1914. Hopefully in time more years will be covered. Thank you for informing me on such a great opportunity. I have always wondered about the history of my ancestors so this is a great help. I now have the resources available to me to look further into the past than ever before. Findmypast will allow me to do this and I hope it will do the same for others around the world. Thanks Peter for your comment. Yes FindMyPast can certainly help you with your genealogy research. As I have mentioned in this review this site has helped me immensely, and you’re quite right that it can help others too.